This week’s Style & Create blog series profiles Jami Procopio, founder of Nail Bang, a one-stop glam shop for beauty lovers. Two years ago, she discovered her passion for nail work and now she’s starring in this year’s first nail performance show “Nail’d it” on Oxygen, which premieres on October 7th. Bang, bang! S&S: Your work is great. I understand you have a degree in cosmetology and learned the acrylics on your own after a trip from Florida. 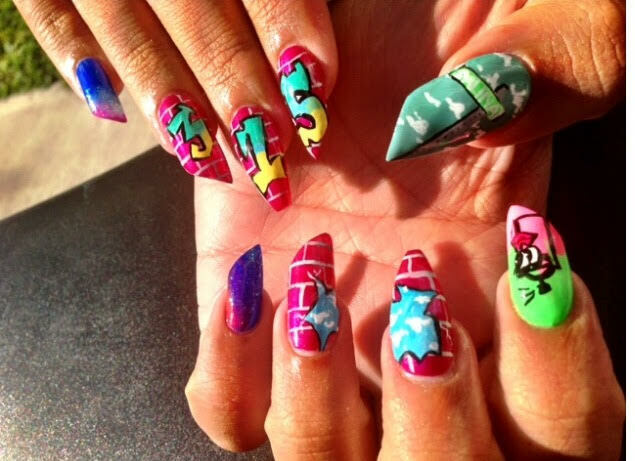 What made nails because a focus of how you wanted to express your art? Yes, it is true. I have a cosmetology license but my nails craft is self-taught. I was inspired after taking a trip to the West coast–Cali. I have always wanted my own business involving art and beauty and with nails I was able to compile both. S&S: What is the story behind the name: Nail Bang? How did you come up with the name? (Laughs) Everybody asks me what the story is behind my business name, but really it was just me racking my brain until I came up with something I have never heard before. Then I googled it, checked Instagram names and hashtags, checked twitter and Facebook, and I didn’t see it anywhere. That confirmed it for me. Nailbang was born. S&S: You’re opening a shop of the same name soon. Any details on the grand opening? I own a shop at 1409 West Genesee st. Although I am currently in the process of looking into bigger spaces. S&S: You are more than a nail artist. You’re a one-stop glam shop (clothing, hair, etc). Will you have services besides nails in the new shop? My shop is more like a boutique where my clients can come for hair, nails and even an outfit or accessories for the night, if needed. There is a salon area in the back and boutique in the front. What I love about doing nails is that each and every individual set is different and usually curated around the clients style, mood or special event. 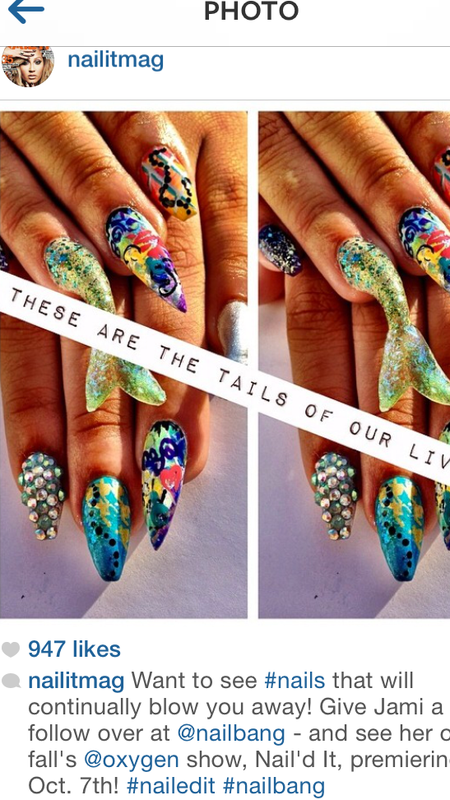 The thing is, with nail art, the creative possibilities are endless. I just hit my 2 year mark for doing nails. S&S: What was your most favorite design/technique to do? It’s hard to say an exact design I like best because I love them all. I can say I do love contrasting or complimenting brights with black accents and character nails are always fun, too. S&S: What is the hardest thing you had to learn when it came to enhancing your nail techniques? One of the hardest things to learn, when I started out was, shaping the nail and keeping it on the nail bed. Practice. Practice. Practice. S&S: Any current nail trends you are obsessed with now? Current nail trends I love at the moment are nail decals, but not just any, I’m talking like throw back decals (80’s and 90’s). S&S: How can new client add an appointment now? My existing and new clients usually find me on social media and inbox me or text my phone and that’s the easiest form of communication for me as of right now. S&S: What is the most interesting request you’ve received from a client? 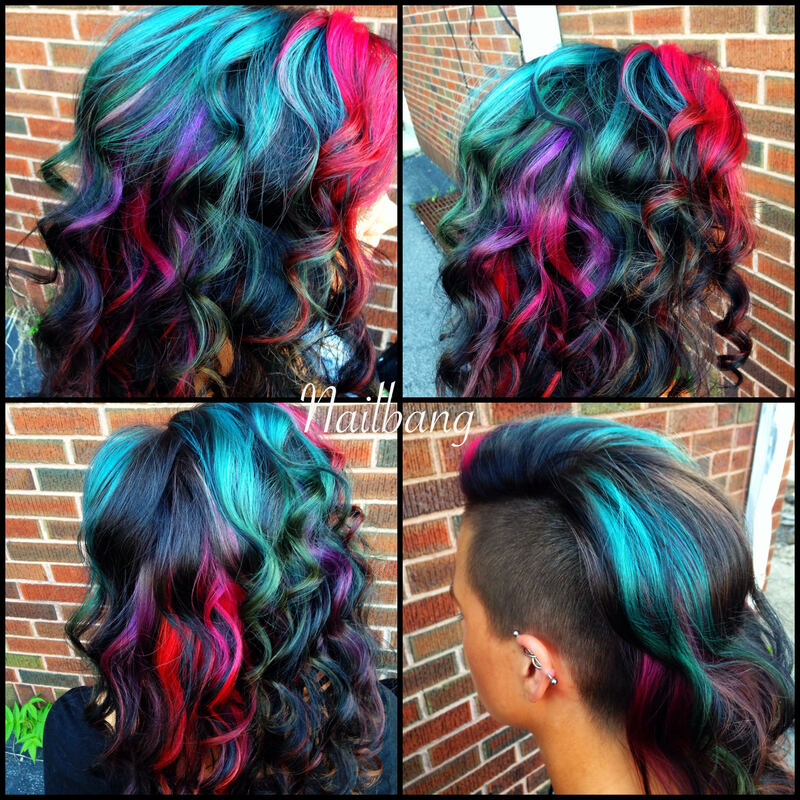 S&S: You have a huge Instagram following (11k), in which you declare yourself the “Mermaid Boss.” What is your the story behind your Mermaid obsession..or should I say declaration :)? (Laughs) I became a mermaid a couple years ago. Mermaids live life a little differently from humans…plus we just dive deep when we want to escape. S&S:What is the best lesson you’ve learned so far from being in the nail business? The best lesson I learned since I have started my craft is that there are some truly good people. It expanded my mind to fullest dealing with all personality types and backgrounds and overall it’s helped me grow socially and mentally. S&S: What advice would you give an inspiring nail tech? Pros? Cons? What are some things they should consider when trying to perfect their skills and get started? Advice I would give to am aspiring nail tech is that I just started out and I have made leaps and bounds within a 2 year time span and as long as you are ambitious and persistent the work will evolve everyday. S&S: “Nail’d It” premieres soon on Oxygen. What is the story behind you joining as a contestant? S&S: What are some things we should look forward to this coming season? “Nail’d It” is the first ever televised nail art competition. You can look forward to seeing myself and some of the countries top nail artists competing ultimately for the grand prize of $100,000! You won’t be seeing your “average mani” here! S&S: Anything else you would like to share with StyleandSnow.com readers? 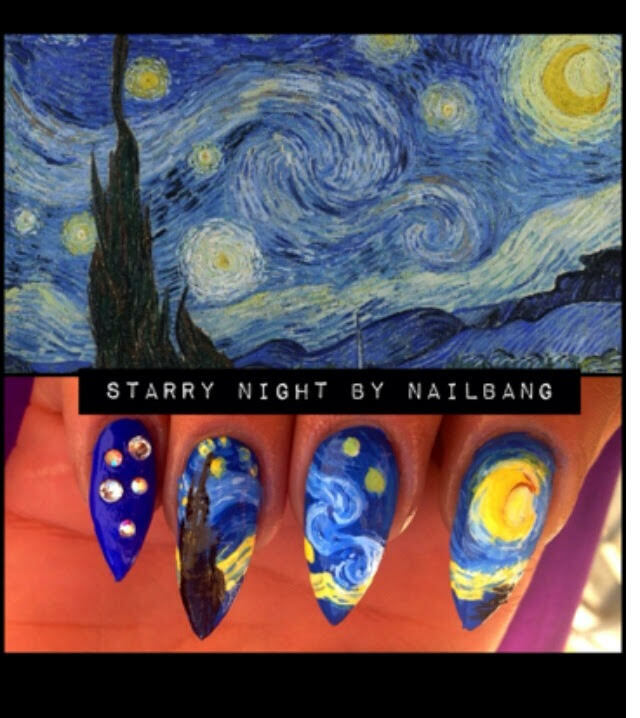 Future plans for Nailbang are going to blow your mind! 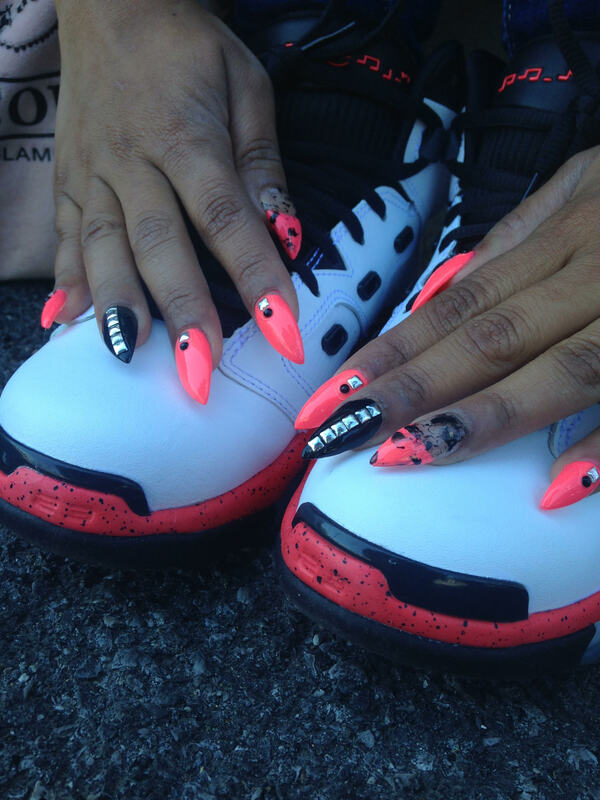 Check out Jami’s Profile on Oxygen’s “Nail’d it” Page and check out her nail creations on Facebook and Instagram. All pictures courtesy of Jami Procopio.